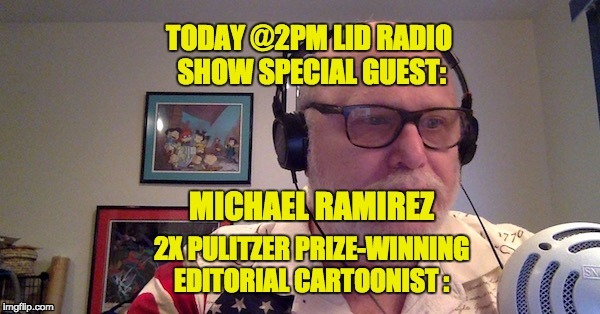 On today’s blockbuster Lid Radio Show we will be talking with my good friend, two-time Pulitzer Prize winning Editorial Cartoonist Michael Ramirez. Michael and I will be discussing the latest political news including the crazy reactions to the election, Trump’s cabinet picks, Obama’s last-minute screw-ups, his farewell speech and so much more. One of my first moves every morning is checking the latest editorial cartoon from Michael Ramirez, two-time Pulitzer Prize winner and editorial Cartoonist for the Weekly Standard. Ramirez is a national treasure, he combines an encyclopedic knowledge of the news with a captivating drawing style to create consistently outstanding thought-provoking cartoons. 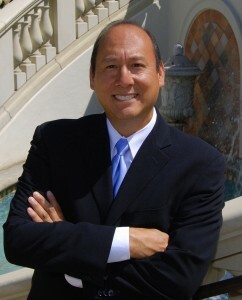 Ramirez’s work can be seen in such publications as the New York Times, USA Today, the Washington Post, the New York Post, Time Magazine, National Review and US News and World Report, and (most importantly) The Lid. His latest book,“Give Me Liberty Or Give Me Obamacare,” offers the conservative reader a compilation of his award-winning cartoons—and a way to remember the miserable past 7 1/2 years in a way that is not so miserable. It is a must read (I have two copies). Michael Ramirez’s work is featured in each week in the Weekly Standard and he publishes other cartoons at his website, MichaelPRamirez.com. But if you do not follow Michael Ramirez on Facebook under Michael P. Ramirez, and on Twitter @ramireztoons, and/or visiting his website daily you are denying yourself the best in the business. While Michael and I are conversing, come into the chat room (embedded below) to ask questions or comment.